We have selected these hybrid varieties for their bright colors, garden performance and value. Their swordlike foliage and tall flower spikes make striking accents in the flower border. To enjoy blooms for many weeks, plant bulbs at two-week intervals from early spring until the end of June. 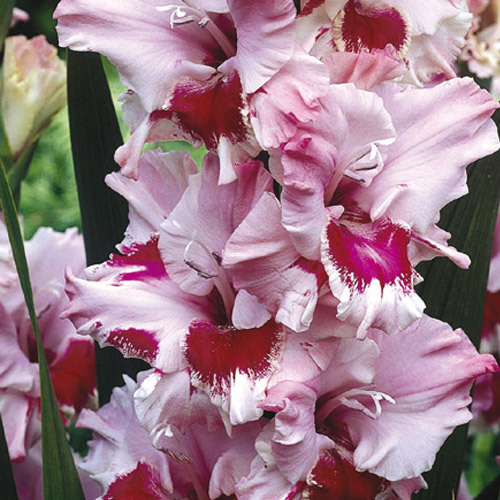 Glads are easy to grow, requiring only full sun and good drainage. 5" wide florets carried along 1 side of the robust stems, 10 - 12 are open at a time. Only to cut back spent flower stems.